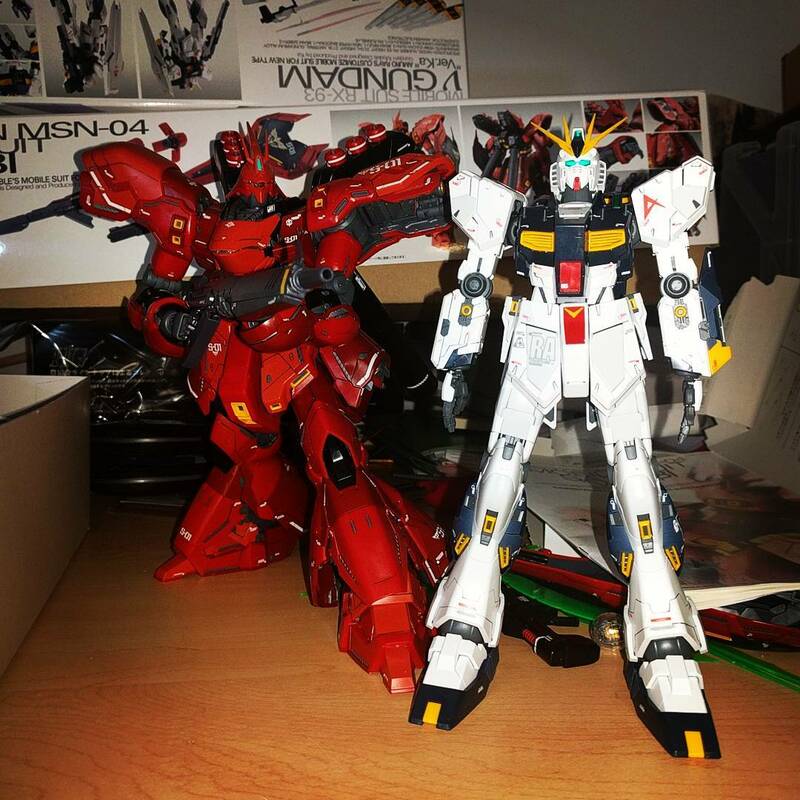 Along with Sazabi, I built the RX-93 Nu Gundam, the other main suit from Char's Counterattack. Another absolutely wonderful piece of kit, which was fun to build. 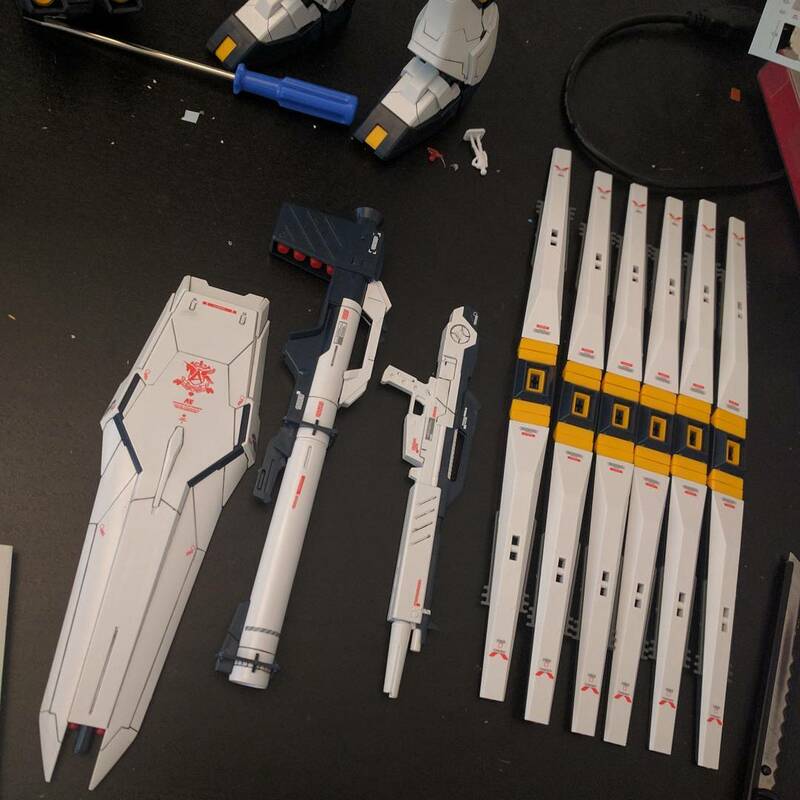 I had even more problems with the water slides here, there are a lot of small decals that rub off easily, and I need to figure out how to get a clearcoat done in my apartment. It's super detailed, it's well portioned and has a shitload of weapons, including the famed fin funnels. 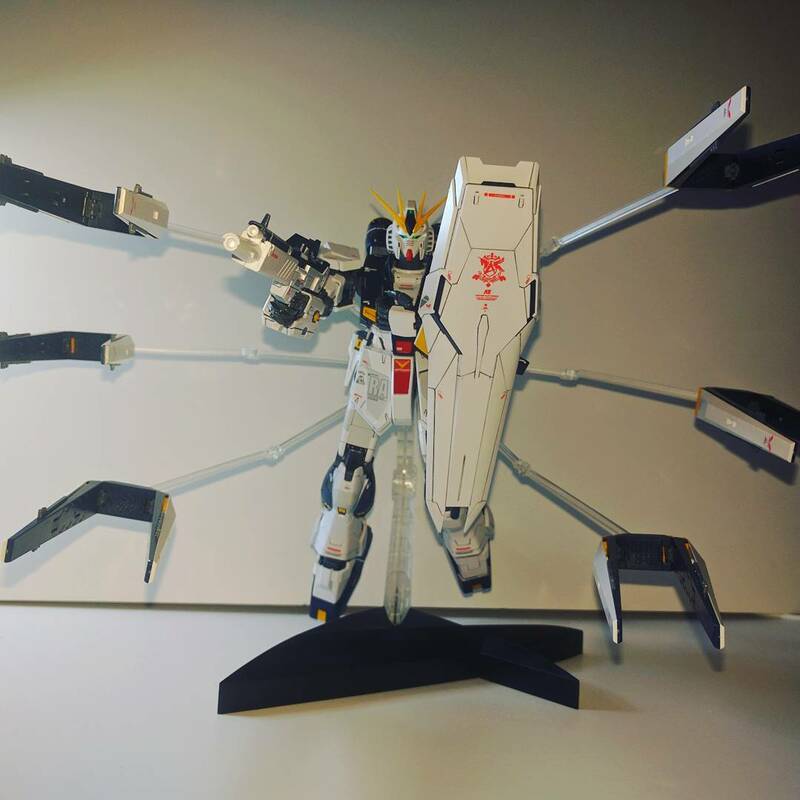 It even comes with its own Action Base, with connectors for the fin funnels, like in the shot above. 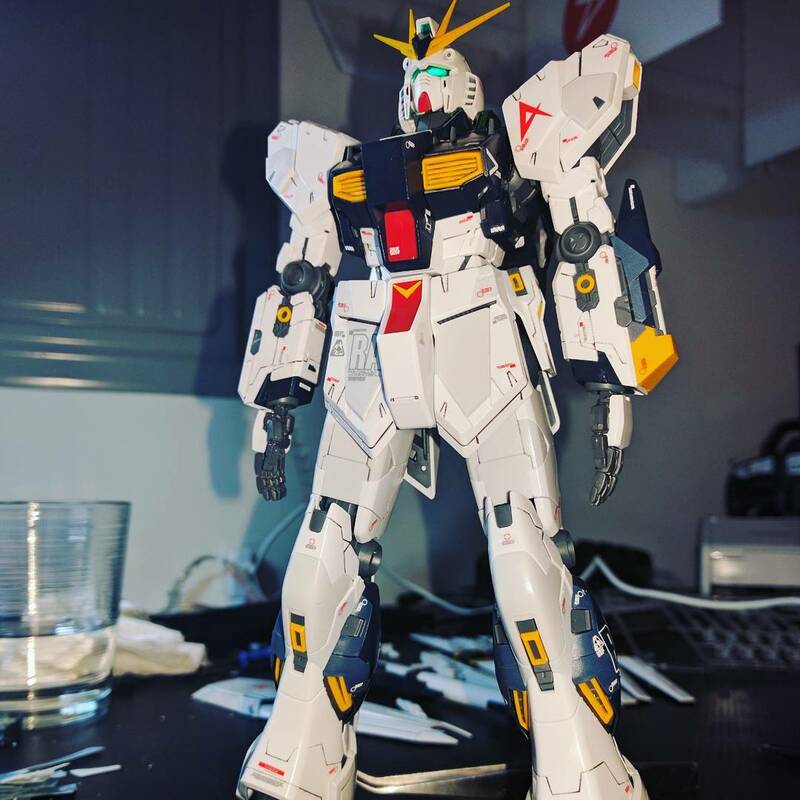 I really love this MS, and I think the kit does a really good job on it. 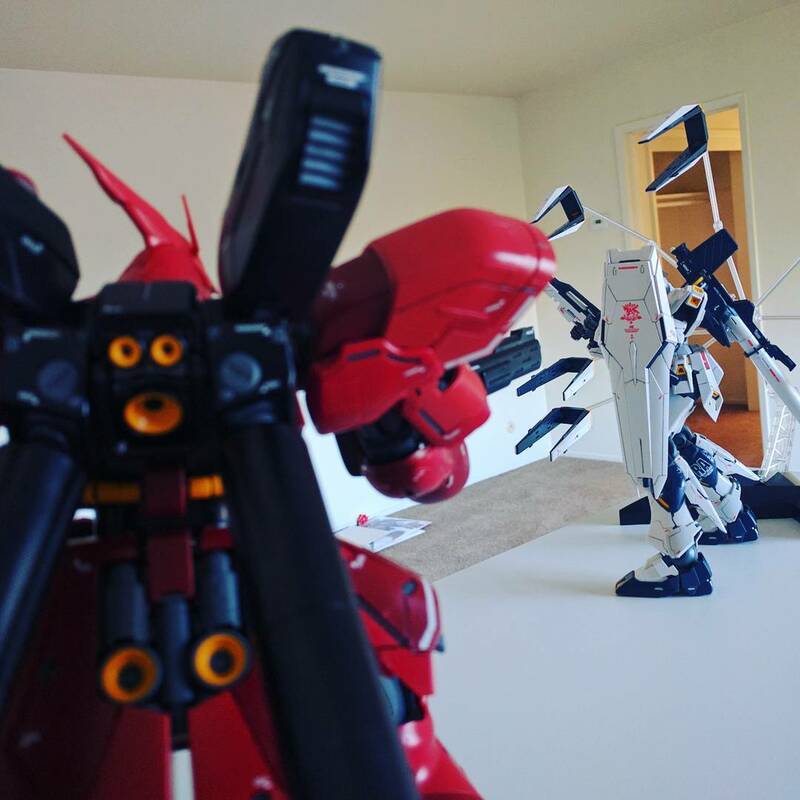 I see myself in a year or two building a set of weathered RX-93 and Sazabi, as they were in Char's Counterattack.